I'm sure it has been quite apparent that I've been adding a couple of extra coats and jackets since the fall season began, but I've got a majority of my staples down. Since selling my pieces from last years Fall/Winter wardrobe, it was my mission this year to find a great parka, shearling, black, camel, and grey coat, all while staying within my budget. Thanks to Zara, and being able to find this coat at such a great price, I now only have a grey coat left to acquire. There's something luxurious about a camel color and the way it blends with the Fall Foliage makes it the perfect coat for days before that winter weather and snow arrives. It seems as though the year just flew by! I normally put together a "Birthday Wishlist" around January for my birthday in February, and it feels like I was just doing that yesterday. 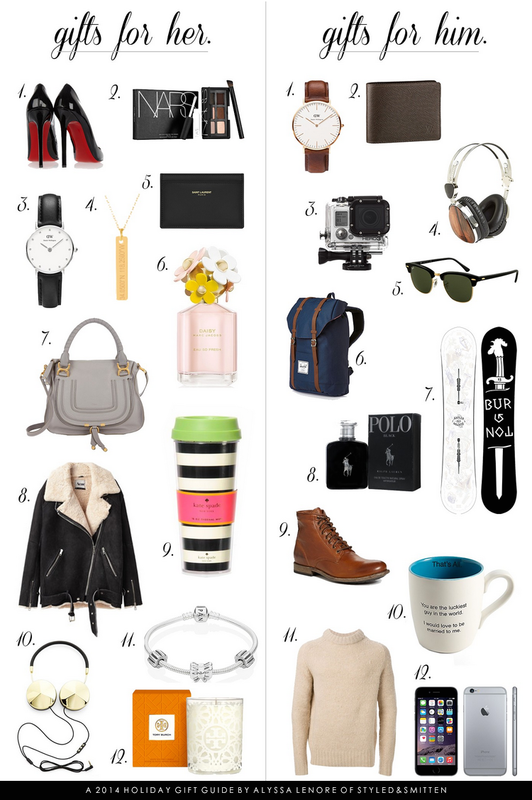 Now that it's November and Christmas is right around the corner, I figured it was time to post my "Winter Wants" list and I've got a couple of things on my mind. These aren't in any particular order but if you're interested in any of these pieces, I've shared links to them below. 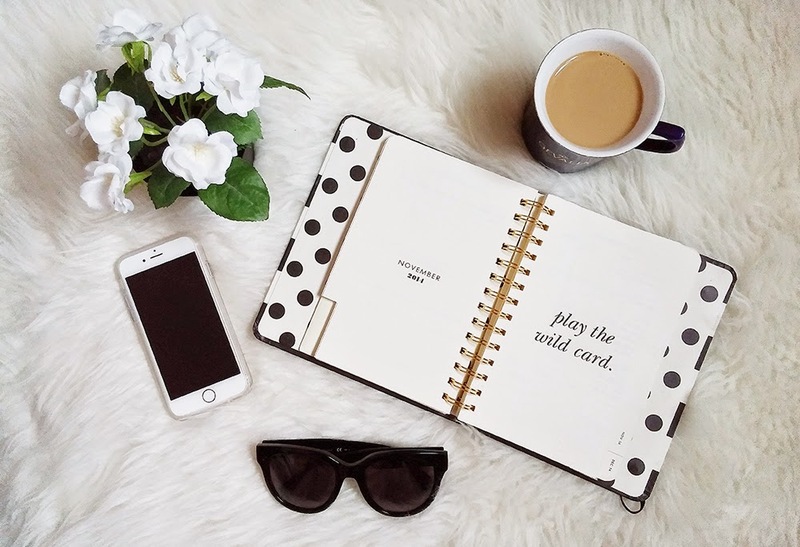 What are some items on your winter wish lists? Hopefully after getting presents for others I'll be able to treat myself to something from my list. I will also be doing some holiday gift guides for girls and guys soon so stay tuned. Have a great weekend, everyone! Inspired by this weekend's post, yesterday's manicure consisted of an Essie color called, "Shearling Darling." With crisp fall mornings upon us, I knew this jacket would become the perfect fall staple after coming across it last week at Piperlime's shop in SoHo. Strolling through the streets surrounding Washington Square Park, the colors in the trees came alive, making it the perfect backdrop for this almost-all-black ensemble. Despite the temperature reaching the low forties and factoring in the wind, this jacket was all that I needed to keep me cozy and warm all morning. I preferred this to be more slouchy and loose so to balance it out, I paired it with my Citizens of Humanity Rocket Porter skinnies and my Stuart Weitzman Lowlands. What I immediately loved about this particular jacket was the fact that it's fully lined throughout the sleeves, and for the price, I just couldn't say no. Loving the silver hardware, I took my Céline Audrey sunglasses out and about as well. Hope you all have an amazing week! I can't wait to reveal some amazing collaborations I have lined up for the holidays! Read more for additional shots of this look. Every girl should have that go-to cross body bag. Amongst my collection of totes, hobos, and top handles, my Céline Trio has been the perfect accessory for dressing up a casual look while adding a certain edge to it. The clean lines and luxurious leather go with so many pieces in my closet, a quality I look for in all my investment purchases. You'd be surprised by how much actually fits into this bag, sometime's it's almost like magic. The shape will stay yet I actually have many things inside, it's just a matter of arranging them properly so that the "Trio" retains its shape. The small size is 8.5" W x 6" H x 2"D and the large size is 9.75" W x 7" H x 2" D, costing $1,050 and $1,200 respectively. Standing at 5'-6.5", the larger size was perfect for me. It's become so easy and effortless to pull a look together with the help of this bag. The "Trio" comes with three detachable pouches, allowing you to carry the front pouch as a clutch if desired. As for the material, the smooth leather feels like butter to the touch and the interior is lined with felt, perfect for carrying your sunglasses in a compartment separated from your keys to avoid any scratches. Céline's newer bags such as the "Belt Bag" and "Medium Cabas Phantom" have also caught my eye, but any new additions will have to wait until the new year. Read more to get additional details of this bag and see how I often pack it! Large Céline Trio in black, purchased from Bergdorf Goodman. 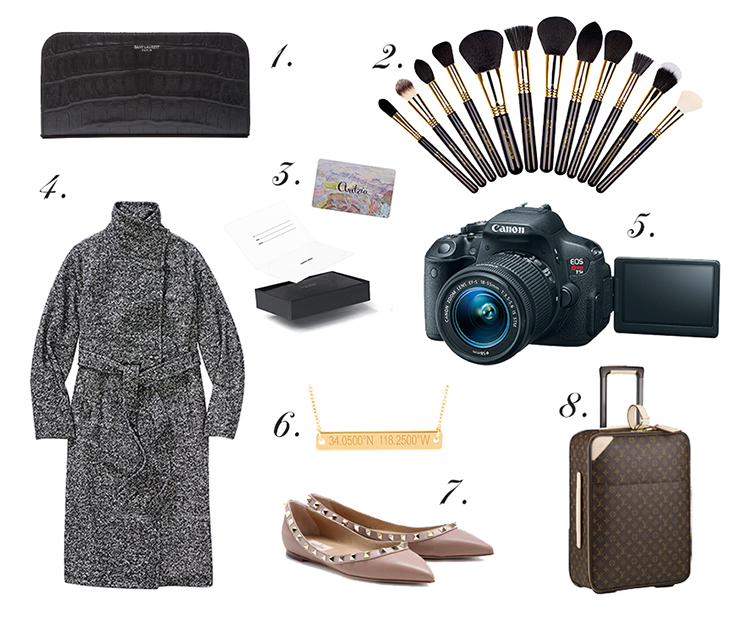 Ray-Ban Sunglasses, NARS Make-Up, Chanel Lipstick, MBMJ Watch, iPhone 6, and Saint Laurent Wallet also photographed. This city is like no other. I could spend hours getting lost between skyscrapers, stroll through roads in Central Park and not mind where it takes me. I know that I'll manage to find something I haven't seen before, regardless of the many years that I have lived here. The charm of Central Park never gets old and I must admit, there are still parts of it I have yet to see. It's amazing to look at from above, this perfect block of foliage in the center of this island. From other boroughs, you see a wall of windows, towers, apartments, offices, then you enter Manhattan and right in the middle is one of my favorite places. As for this look, it seems as though my wardrobe has been very dark lately, much like the fall days where the sun sets before 5PM. I paired my favorite black skinny jeans, the Citizens of Humanity Rocket "Axel" with a tank and sweater from Aritzia. I also recently purchased a grey wool scarf from Acne Studios. The main piece that I wanted to wear for this look is my Céline Trio, a bag I've been eyeing for a very long time. There's just something so chic about black bags that I can't seem to tear myself away from. I'm thinking that you'll be seeing a lot more of this bag in future outfit posts. I hope everyone has a great rest of the week! Read more to get additional photos of this look. Marco and I spent the afternoon of our three and a half years wandering through the Upper East and West Side. I would say it was a good three to four hours before we had to take a break and grab a bite to eat. Ever since I got these boots, which I know must seem like the only pair I wear these days, I've been wanting to style them with a cute skirt and cozy sweater. Luckily, this day allowed me to do so with this outfit from Aritzia and Urban Outfitters. There's just something I love about wearing OTK boots with a skirt or a dress. That gap of skin shows the perfect amount for the Fall season, something I've been seeing everywhere lately. How are you styling your OTK boots this fall? Comment and let me know. Have a wonderful week, everyone! I can't believe October is over already. It feels like it just flew by, but I'm quite thrilled about it because October is always the longest part of the semester for me. There aren't any off days, I've got midterms, and the only thing I really enjoy about October is the weather and getting creative for Halloween. Regardless, this past month was still quite good to me. Actually, it was pretty amazing. Here's a recap of what's happened in the past month! As per usual, the best way to show what's been going on with me is Instagram. I hit 11K this month and I'm so glad that people are loving my photos, posts, etc. I wouldn't be able to do this without any of you, and I honestly mean that. Please read on to see what I've been up to and see the newest additions to my closet! You can shop some of my featured pieces by clicking below.